You go to the dentist because of a toothache, or maybe for your bi-annual checkup, and your doctor tells you, “You need a crown.” You’ll have to schedule two appointments – one for preparation and placement of a temporary crown, and one for placement of the permanent crown. Do you have that kind of time to spare? Between the appointments, your temporary crown could crack or fall out, and then you’d have to make yet another trip to the dentist. We at Champions Dentistry know that a crown is important, so you shouldn’t delay treatment. A crown can salvage a tooth that may otherwise have to be removed and replaced with a prosthetic. We therefore bring you CEREC one visit crowns as a great option. We understand the inconvenience patients face with a traditional crown. Your time is as valuable as your smile so we now use a revolutionary tool that mills a permanent crown in about an hour. Dr. Shellie Reagan will first take a 3D image of your tooth. Our CEREC machine will then mill a strong, beautiful restoration in about an hour. We’ll permanently place the crown during your single visit, and you’ll leave our Spring, TX practice with a full, healthy smile. Millions of patients worldwide have experienced the convenience of the CEREC one visit crowns. 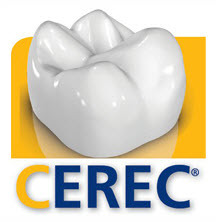 CEREC Blocs, the material from which the crowns are milled, are backed with 20 years of research, so you can rest assured that they offer a durable restoration that you can trust. CEREC can also mill inlays, onlays, and veneers for your convenience. You have a big filling that needs replacement. Do you have to get a full crown? Not necessarily. A more conservative approach would be inlays and onlays that fit into a tooth similar to a filling. Inlays and onlays are also milled restorations, much like a crown. The bumps on top of a tooth are called cusps. Inlays fit between cusps, while onlays fit over one or more cusps. Inlays and onlays allow a patient to retain more natural tooth structure, which is always best. Because they are created in our office with CEREC in Spring, TX, inlays and onlays require only one appointment. If you live in and around Spring, TX and want the convenience, durability of the CEREC one visit crowns, call us at Champions Dentistry and schedule an appointment. Dr. Reagan and our friendly, dedicated team will be very happy to assist you!